Nashville General first opened its doors on April 23, 1890 as the 60-bed “City Hospital”, Nashville’s first full-fledged medical facility. The medical facility that would become Nashville General Hospital at Meharry began as “City Hospital” in April 1890. The city’s first full-fledged medical facility, City Hospital was also Nashville’s original community hospital with a commitment to serve all the citizens of Nashville and Davidson County, Tennessee. 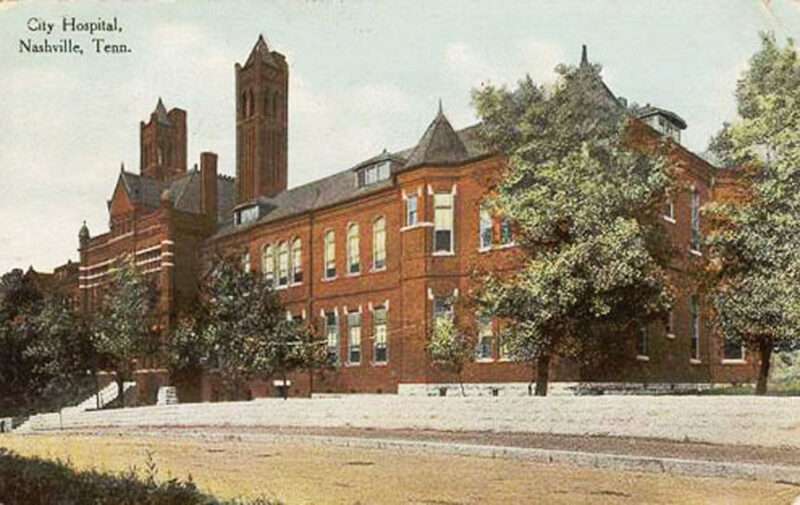 The founders spent $30,000, an impressive amount in 1890, to construct the 60-bed facility. While its facilities would be considered almost primitive by today’s healthcare standards, City Hospital featured many modern touches and was described as a “model of architectural beauty” at its opening. Each room had an iron bed and a chair. “Dumb waiters” hoisted food and supplies to the various floors while laundry chutes took away soiled sheets. Pneumatic tubes helped the nurses send notes and charts. Horse-drawn ambulances rushed the injured or dying to the hospital for treatment. Women’s Health- Maternal/Child is the first major floor renovation since the hospital’s relocation in 1998. This new look will usher us into our next 125 years. The hospital would experience difficult lean times and significant growing pains in its infancy. During its first five full months of operation, the facility produced only $961 in revenue. Recognizing a dire need for qualified nurses, a nurse training school was opened in 1891, the only facility of its kind between the Ohio River and New Orleans. The early years of the Twentieth Century saw a new addition to the hospital along with a pediatric ward. Another expansion completed in 1932 helped increase the average daily number of patients, but the hospital remained on unsure economic footing. The situation changed in the 1950s. The hospital affiliated with Vanderbilt University Medical School producing a facility that, by 1980, listed 64 staff physicians, 181 visiting doctors, and 191 nurses. 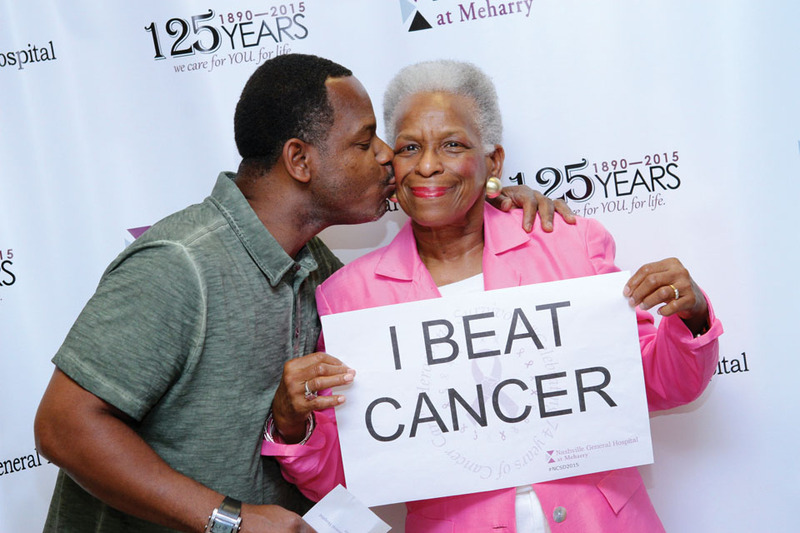 A name change in 1998 to Nashville General Hospital at Meharry reflects the medical facility’s partnership with Meharry Medical College, one of the nation’s oldest and largest historically black academic health centers. Nashville General Hospital at Meharry operates today as a licensed 150 bed academically affiliated community hospital. While its name has changed over the years, the hospital’s mission was refined to better reflect the hospital’s core purpose: To improve the health and wellness of Nashville by providing equitable access to coordinated patient-centered care, supporting tomorrow’s caregivers, and translating science into clinical practice. Encompassing more than 350,000 square feet, the 11-story tower is a beacon of hope for many in the North Nashville community. 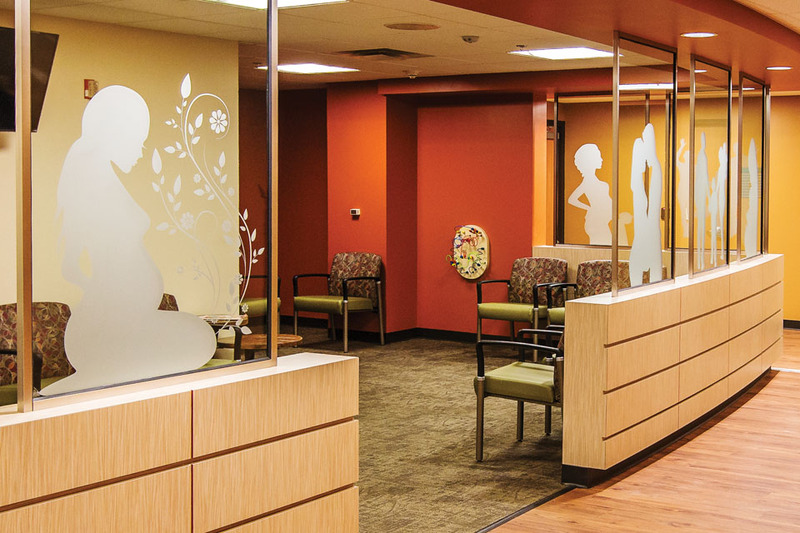 The facility houses inpatient medical, surgical, and obstetrical beds; a 24/7 emergency department; a full complement of ancillary and diagnostic services; and 22 ambulatory specialties. The hospital provides employment for 560 full-time employees, 76 percent of whom are female. 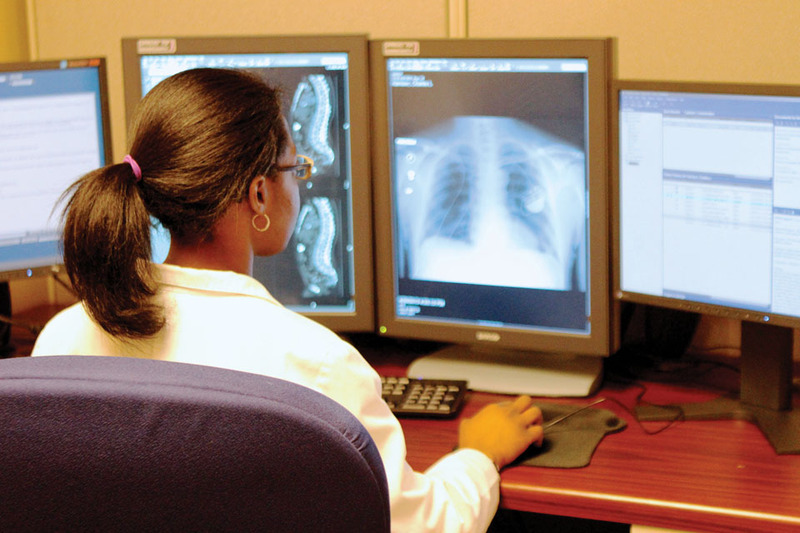 Nashville General is also home to middle Tennessee’s only hospital-based Radiologic Technology program and a partner to Our Kids, a Center of Excellence in evaluation of child sexual abuse. Primary service area for the hospital is North Nashville – the community surrounding the hospital’s current location and extending to Antioch/South Nashville. Due to a strong clinical research division, some patients travel from neighboring Alabama and Kentucky to receive treatment as part of their involvement in clinical trials. While Nashville General represents only a small number of the total number of inpatient beds in Nashville, the hospital provides over 35,000 emergency visits; 7,000 discharges; 550 births; and 40,000 outpatient visits annually. Dr. Robert E. Hardy Cancer Center at Nashville General celebrated 75 years of Accreditation by the Commission on Cancer of the American College of Surgeons in 2016. 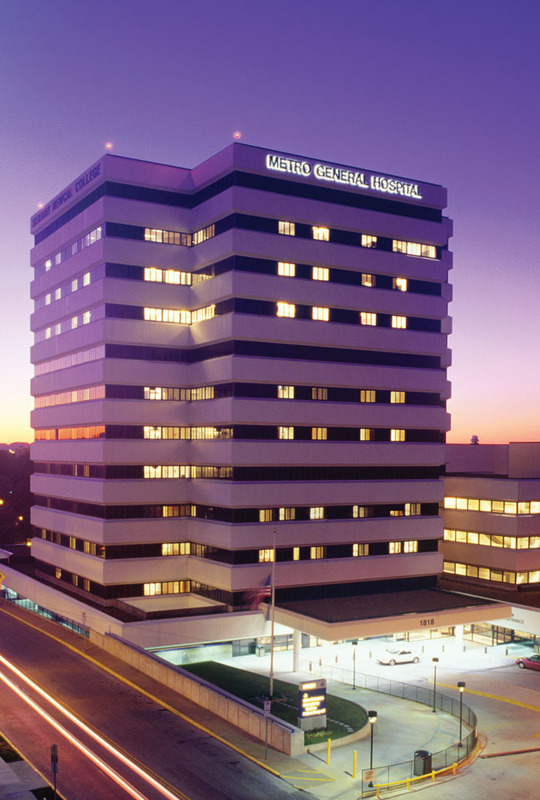 In addition to its role as a leading provider of healthcare to the area’s residents, Nashville General is heavily involved in numerous initiatives that improve the overall quality of life in the region. The hospital’s signature community outreach program is “Mammograms in May – the Mother’s Day Gift that Saves Lives.” With funding provided by Susan G. Komen Greater Nashville and the Women’s Fund of the Community Foundation, Nashville General provides women over the age of 40 who have not received a mammogram within the last year a free screening mammogram. Other community initiatives include Annual Community Health Fair; Super 60+ Lunch and Learns; Secret Santa Holiday Angel Tree; and Annual Cancer Survivorship Celebration. The hospital’s employees also support the Nashville General Hospital Foundation, Metro Employees Consolidated Charities Campaign, Komen Race for the Cure, and American Heart Walk, to name a few. With a commitment to continuous improvement, each staff member remains focused on providing high quality, compassionate care to each patient served.